Safety, comfort, exceptional value, top notch equipment, best in class west coast fishing boats, fish care, and knowing the waters is just some of the key elements that we put into our standards in running a sport fishing eco tourism business! 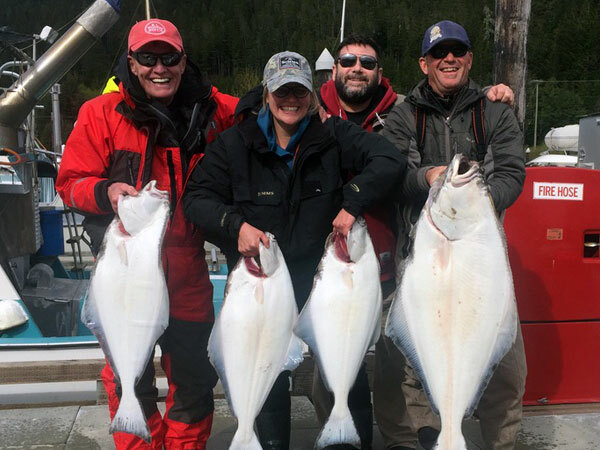 With decades in providing top quality fishing adventures to guests from around the world, fishing all over the west coast of British Columbia and experiencing guided charters themselves, Todd Haynes, Larry Wesolowsky & Kyle Alton know what it takes to be successful on a fishing trip! As with our experiences over the years it is why we ensure a quality of perfection and professionalism into every trip! Our guests whether in-experienced or great rods themselves are provided with our complete customer service care so your enjoyment and memories are ever-lasting! From pre-trip planning and arrangements, on the water guidance and tips and post trip celebrations, our standards will be sure to leave you with an outstanding fishing trip! 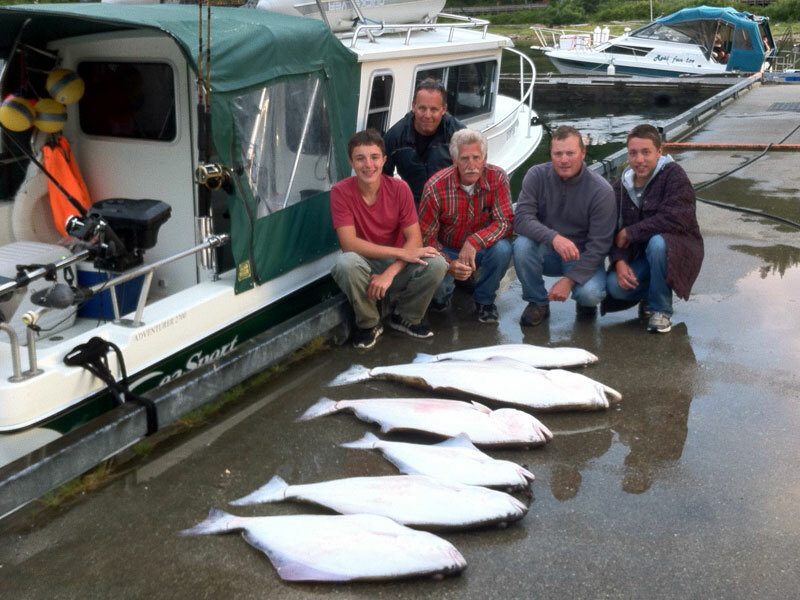 Our trips with Nautical West Sport Fishing over the last two years were absolutely a dream come true". "We had a wonderful time and caught so many fish, wow! Just a short note to say thank you so much for a safe, excellent and productive couple of days of fishing - not only for us but our grandkids, Cam and Martin. We had an awesome time and appreciate all that you did for us. Once again we experienced one of our best vacations in Kitimat. Providing us with a unique combination of fishing both the river and the ocean was amazing. 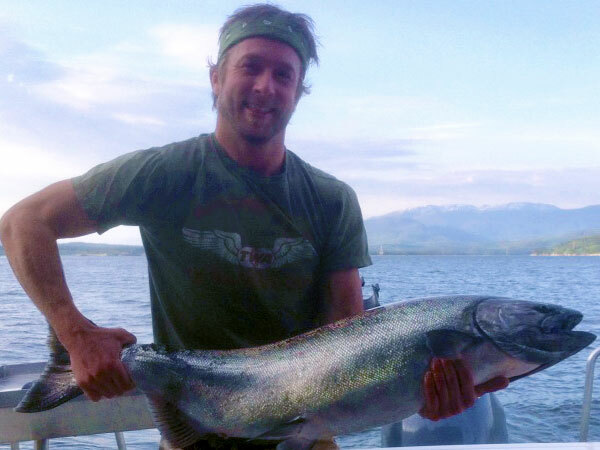 You have shown us what the Northwest has to offer and your hospitality and knowledge of fishing is incredible. Drifting the river and hooking into so many steelhead made for an awesome day. 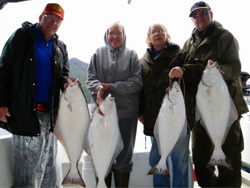 We truly enjoyed our ocean experience catching halibut, crabs and cod. Seeing the Killer whales was an unforgettable experience for both of us. We will be back. Thank you so much! Dave and Fran Demchuk, Kimberley, B.C. Hi Todd,Thanks for the excellent day of fishing. Kelly and I had great time. It was a pleasure to go out with a guy who knows his stuff. I will pass your name on to whoever is headed that way in the future and we will see you again next year. We take high value in your retained fish. That's why the importance of bleeding, icing and storing of your catch in closed quality coolers is completed immediately. At the end of of everyday, we process the catch for transport and travel and ensure all members of group have completed the necessary documents for inspection and licensing. 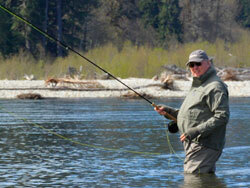 Our host of River & Ocean Adventures would cost much more at other resorts or lodges along the coast. 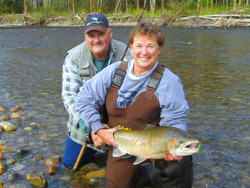 Why fish with inexperienced guides? 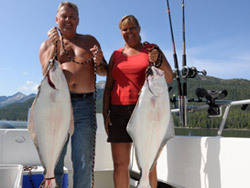 Nautical West captains and guides have years of providing sport fishing adventures to guests. Local knowledge of rivers and ocean regions and conditions is critical to success in getting our guests hooked up. Fishing adventures are about having fun and enjoying great times with your friends and family and this is just one of our standards! With us, our guests can choose a day or two on the Rivers & then journey out on the Ocean to experience the Big Coast! 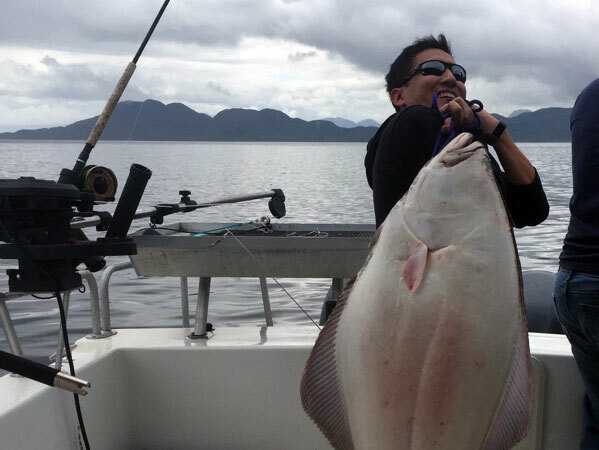 When it comes to regions of BC, this is one of the best in destinations to fish for world class Steelhead, bountiful runs of Salmon, enormous Pacific Halibut & top notch prawnin & crabbin! Not to mention the Hot-springs, scenery & marine wildlife that also keeps you entertained! As for other destinations along the west coast, wind and big seas can add to tough day on the water! This region is well known to be a choice for those whom like less rolls and calm waters! With plenty of islands to hide behind and great fishing to experience, this has been in favour to our guests! Most critical experience for our guests is to know that comfort and safety is provided! With fully equipped safety equipment (first-aid kits & life jackets) on all our vessels and closed cabins on our ocean rigs with galleys, sleeping accommodations and the important washrooms.